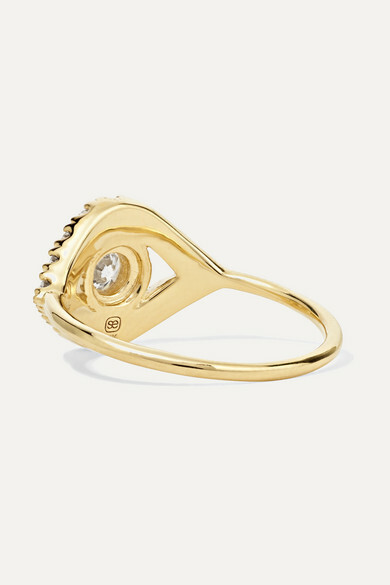 Sydney Evan's collections are filled with ancient talismans - like the evil eye on this ring - that symbolize protection, love, and good fortune. 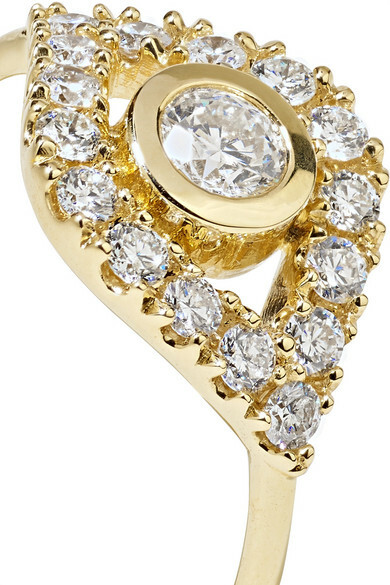 Cast from polished 14-karat gold, this dainty ring is encrusted with shimmering diamonds that catch the light from every angle. 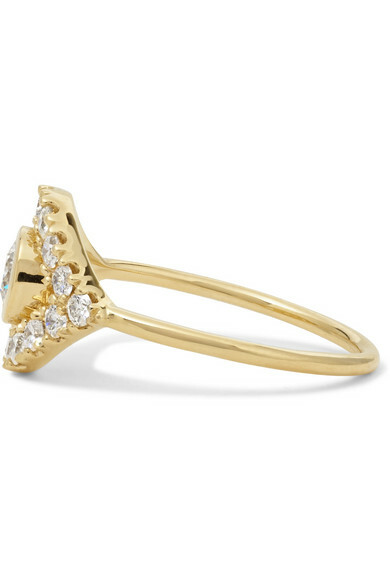 Wear yours solo or stacked with similar styles from the brand. Shown here with: we are LEONE Robe, RE/DONE Jeans, Sydney Evan Bracelet, Sydney Evan Bracelet, Sydney Evan Ring, Sydney Evan Necklace, Sydney Evan Ring, Sydney Evan Earrings.